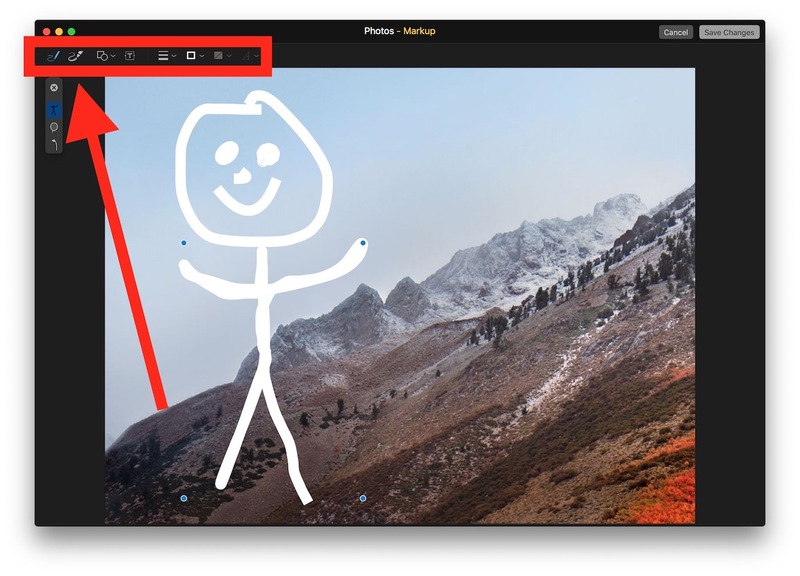 Your instructions mystified me until I realized that in order to make the Edit button appear in the toolbar, it is not enough to select a photo. One has to double-click on it. Perhaps you should send a correction? 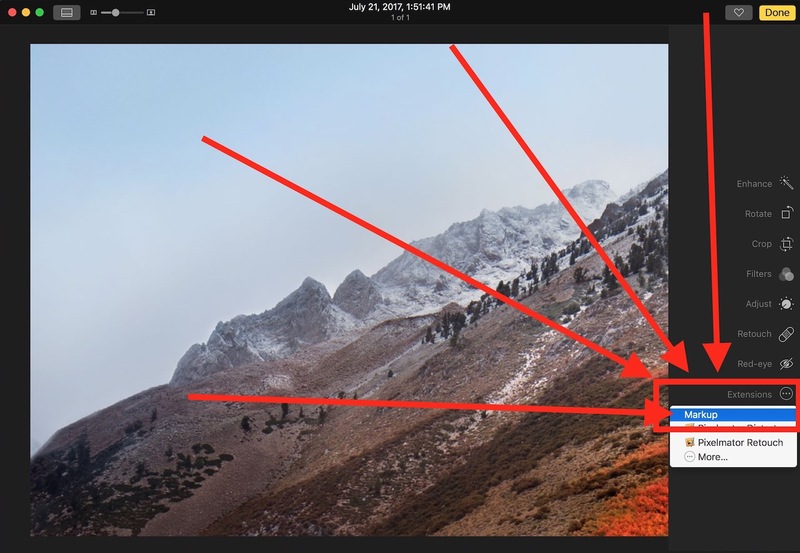 My iPhoto 9.5.1 does not have this editing option, quite a different display of edit choices. 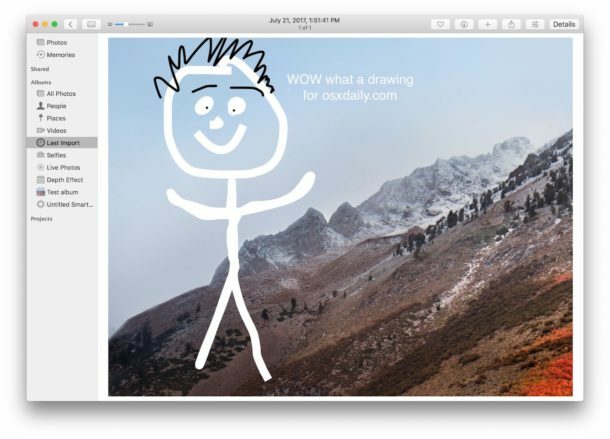 Which iPhoto version is this ? 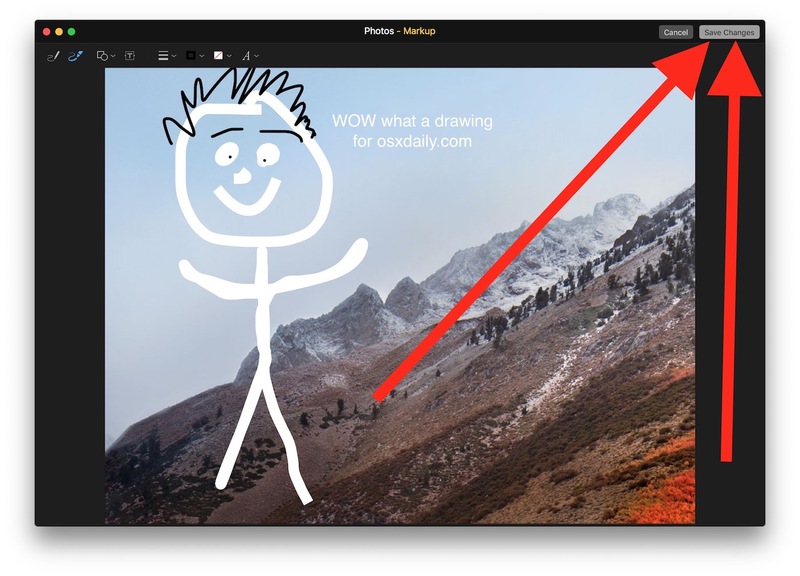 I can get the same drawing with converting the photo to pdf format, then edit. 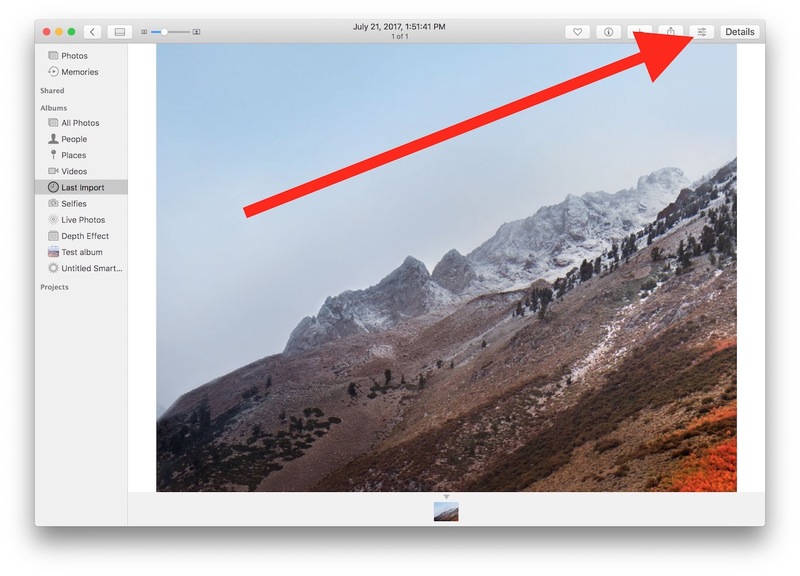 Photos is different from iPhoto, iPhoto is outdated. 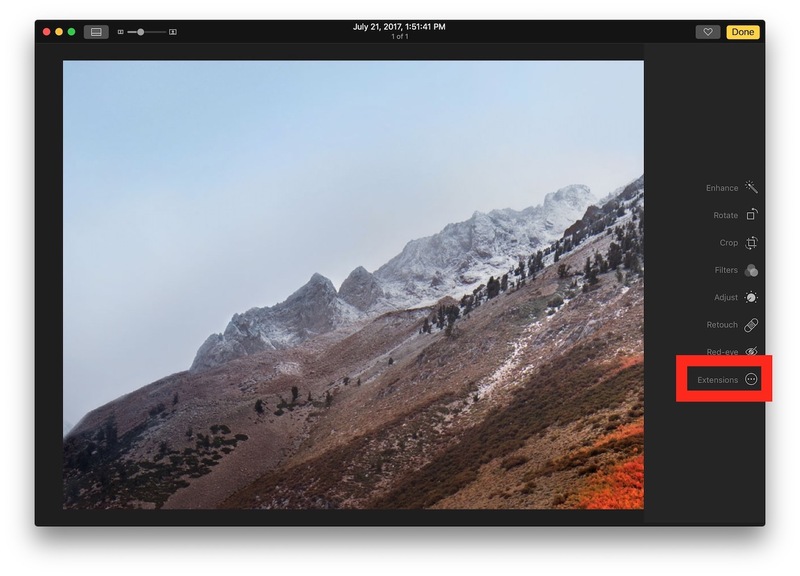 Photos is the new default image app for Mac and iOS. Doesn’t work for me either…Same version 1.5. I don’t have “sliders”. 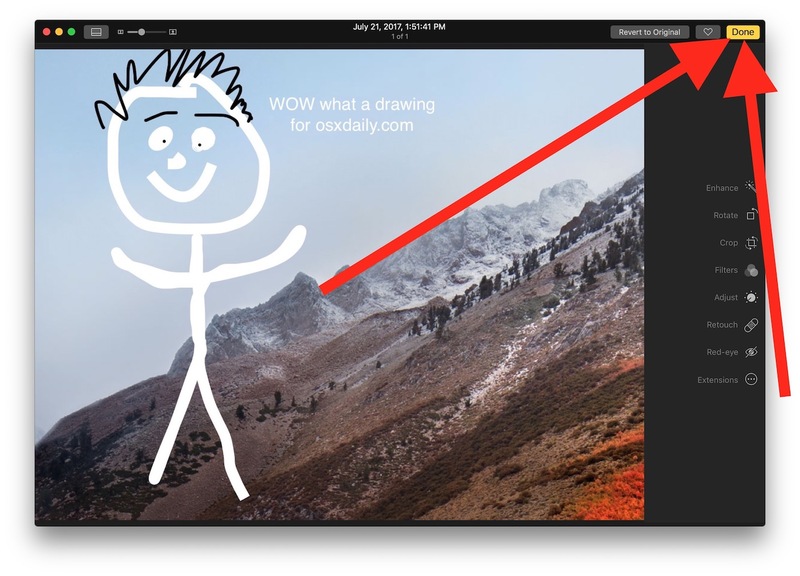 I installed an extension from Apple, Orion Markup Express, and still couldn’t get anything to work. FFS are we all 5yrs old now? That’s the last time I think I drew on a photo. I want to be able to annotate pix of how to do beading, so this will be very useful. Yes, could take a pic, save as pdf and then annotate that … but this cuts out a load of steps. So, thanks for the Tip. Never knew Photos could do this. I do not have these options in my Photo app. I have an EDIT button (not the hamburger icon). When I click EDIT, I receive all of the same options on the right except for the Extensions option. What gives?